Using iPhone is very interesting because we can install a lot of application while using it. But sometime, we get error or not responding problem with or stuck at some application. At this case we need to do hard reset to make our iPhone can be use again. What to Do if I need to Reset iPhone while Hang or Not Responding? First you can do is try to reset the non responsive iPhone, since iPhone can not take out the battery because iPhone is non removable battery, that’s why we can try to press for long time the Home button in the front + POWER/Sleep/Wake-Up Button together, you just have to press them for several second than make it reset by itself. How to MASTER RESET iPhone with Easy Step (Factory Reset or Format our iPhone) ? Remember, Master Reset is the same think to remove all data and application at our iPhone, just do it when you think we need to reset our iPhone to default setting, as same as when we buy it at the first time. Finish to Master Reset to Factory Default our iPhone. This method to wipe all of our data only necessary while our iPhone can not work properly, always backup your data with iTune or with iCloud service by Apple. 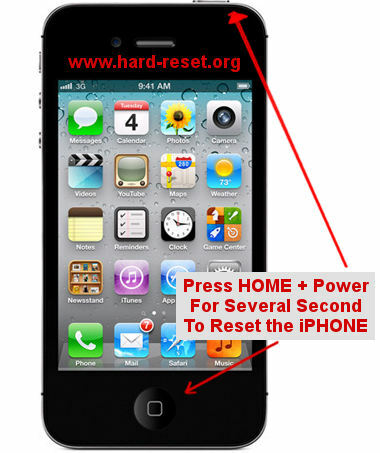 This article manual will answer the question about How to Factory Reset Iphone 4/4S? How to Factory Reset iPhone 5? Always recommended to install proper application only from AppStore to make our iPhone run safely with good applications. When we do the Jailbreak, then we will easily make our iPhone vulnerable. How to Easily Master Format HUAWEI ASCEND G510 U8951 with Safety Hard Reset?